Murray James has developed a positive culture to lead change within the realm of ICT and digital pedagogies across Sheldon College by inspiring others to think beyond the visible possibilities. 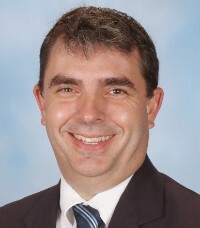 James has led the development of the school’s Learning and Innovation for a New Queensland [LINQ] Precinct, which uses interdisciplinary project-based teaching and learning to focus on the cross-disciplinary implementation of media, business, design and technologies. James’ latest project is ArtScapes, a cutting-edge digital arts facility that allows students to work with digital media tools in virtual- and mixed-reality platforms, allowing them to access resources that are only often found in industry and universities. James’ approach to teaching and learning offers creative classroom training across various and constantly evolving media disciplines, coupled with participation in regular master classes and industry experiences.